Love my top! Wore it to Holiday Church Services. Great comments! Really pretty! It was a gift. I would not buy this sweatshirt again! A very pretty sweatshirt. I was so disappointed when I tried to put it on. The bottom band is very tight, it was very snug trying to put my arms into it. Sadly a lot of sweatshirts seem be be made this way now. 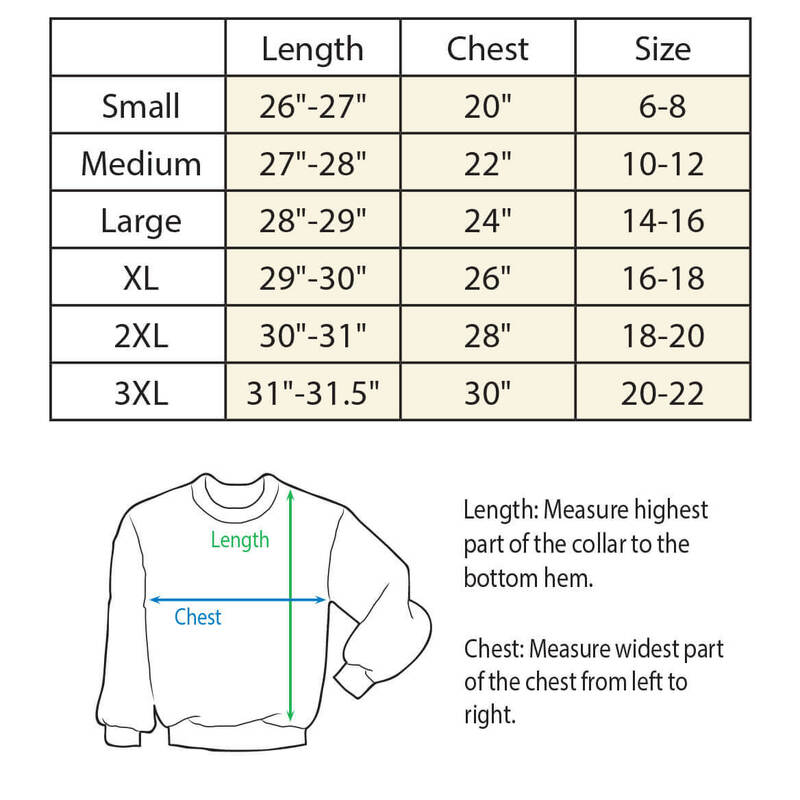 I have older sweatshirts, a size smaller and they fit fine. I had to return it as it was very uncomfortable. I like this winter scene with the cardinals It's beautiful. my daughter loves this item. It was pretty and reasonably priced. I love the designs!!! I got one for sister who has Alzheimers and myself. We both look birds and nature. I wanted a sweatshirt for the holidays and yet one I would like to wear the rest of the winter and this is perfect. Love the cardinals too!!! This was bought for my daughter to wear to work at the elemtary school . 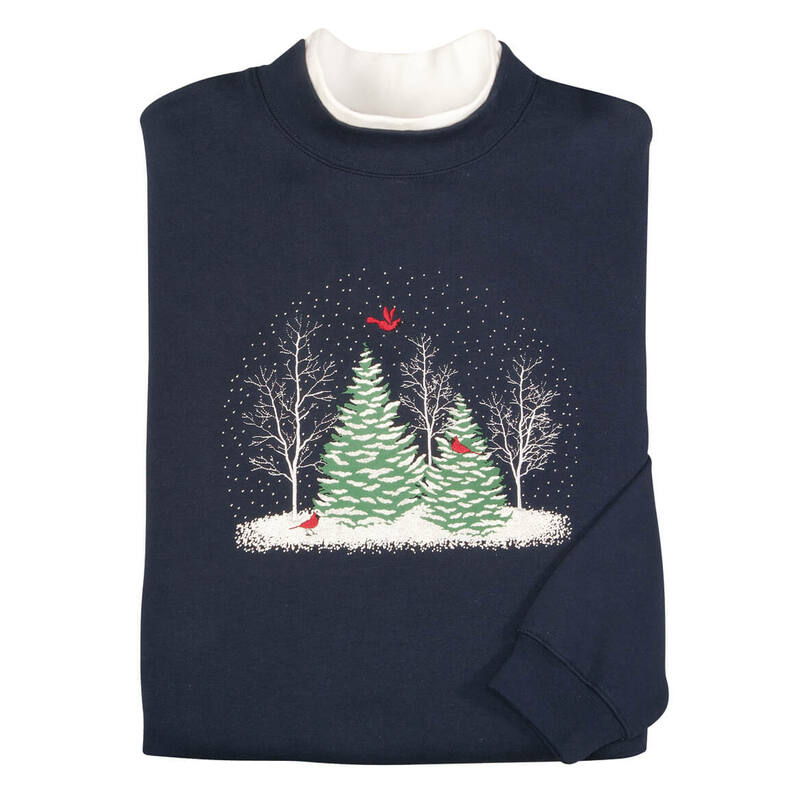 The kids love the holiday season and are pretty excited and this will keep her warm and the kids will love the many different holiday sweatshirts she plans to wear this time of year. The colorful sweatshirts will make a hit. Price and I love the scene! I needed an updated holiday prep time sweatshirt. I like this one and the price was good. I like the design. It can be worn after the holiday also. Is the design embroidered or silk screened? BEST ANSWER: Thank you for your question. It is printed on. We hope this information will be of help to you. No but they are made to last.